Over the past several years, we have done creative dance mini sessions open to dancers in the Lower Mainland of BC, taking place in our South Surrey Studio. These are open to dancers of any skill level are a fun way for dancers to express themselves. The photos are professional and also make amazing keepsakes for any dancer. Adrienne has over 25 years experience as a photographer and over 10 years experience working with dancers of all ages. These mini sessions are meant to offer your dancer a chance to do an affordable and fun professional photo shoot to show off their dance skills. Whether it is to develop a professional portfolio or just to capture some beautiful art keepsakes, this is the perfect chance. Sessions take place at our studio which is located at 15-15515 24th Avenue in Village Center in South Surrey – across the parking lot from our old studio. Fabric Sessions will take place on January 20th & February 9th 2019. Movements highlighted by ethereal showers of flour! Included in the session is 1 free watermarked social media image (low res) that you select from your online private gallery with the option to upgrade to digital files, prints and print products as well. You can find more info on our prints, products, & files on our website at www.geminivisuals.com. Message emily@geminivisuals.com for more information or to book your spot. These sessions generally fill up quickly. awe would love to see your dancer in 2019! 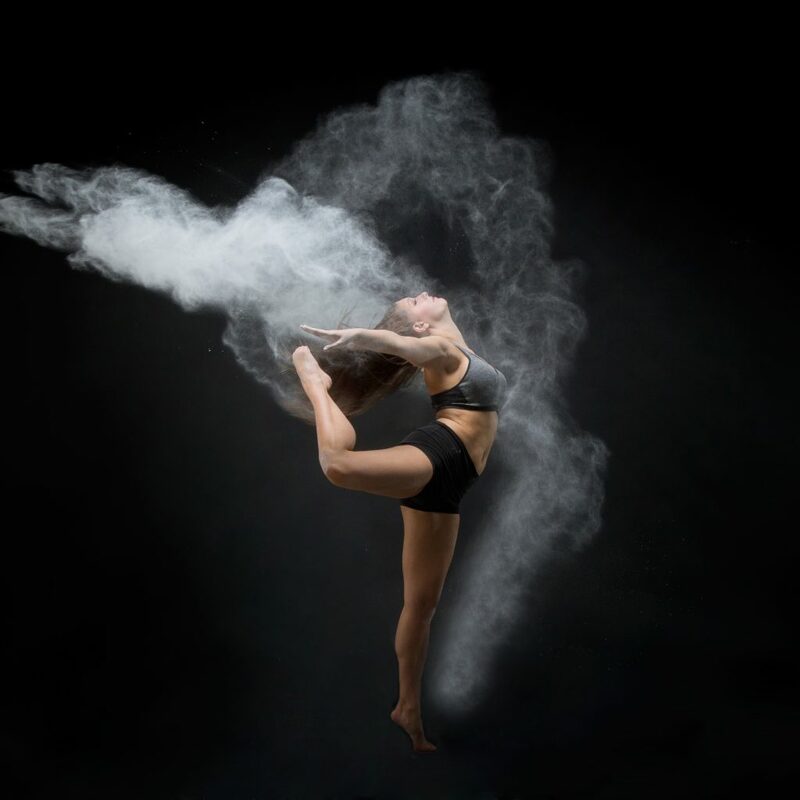 Vancouver Dance Photography | Flour Contest Winner Announced!